2: Team of Two ONLY: One person must do 2 of the 3 disciplines. Your Registration fee Includes: Event tee shirt, Race bag, Medal, Race Number, Timing chip. 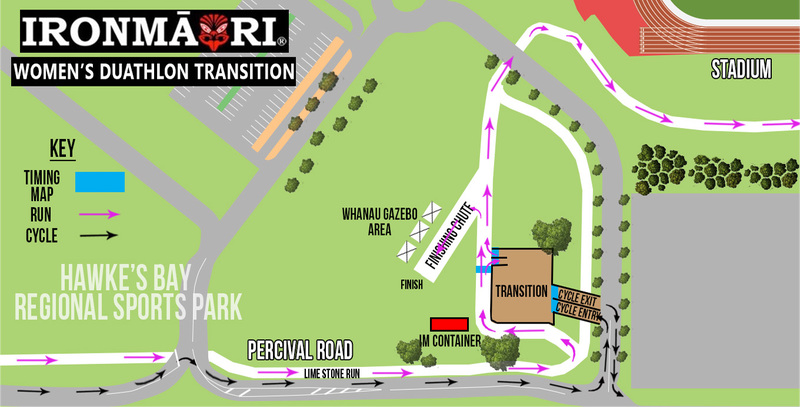 The Registration Tent will be located outside the Hawke’s Bay Regional Sport’s Park Stadium by the track.Information boards (on tables) will be provided beside the registration tent with additional course maps, parking maps and our race brief. Event staff will be able to answer any of your questions that our Information Boards can’t. The Help Desk is also where you go if you would like to change any details of your team. 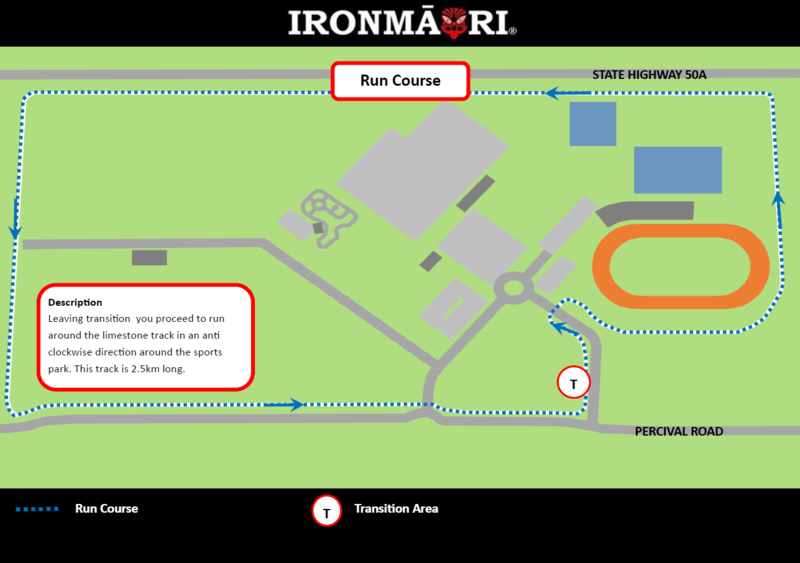 Race pack pick up will be Thursday 27 September 7.00pm-7.30pm at the Iron Maori Gym 821 Orchard Road Camberley Hastings after the information evening, or on race morning 7.00am-8.30am at the Sport’s Park. Bike racking will be on race day ONLY! 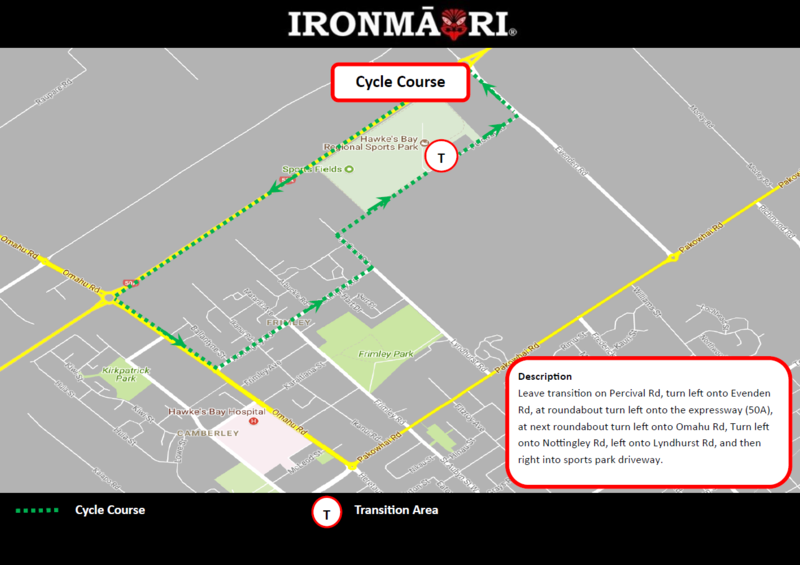 Please note the event is timed and that all timing chips are to be removed and returned at the finish line. 6.00pm- Info evening at the IronMaori gym 821 Orchard Road Hastings, this will also be live streamed for those who are out of town. tbc Prize giving will start once the final participant crosses the finish line. Event trophies are awarded to the top competitor in each age group.